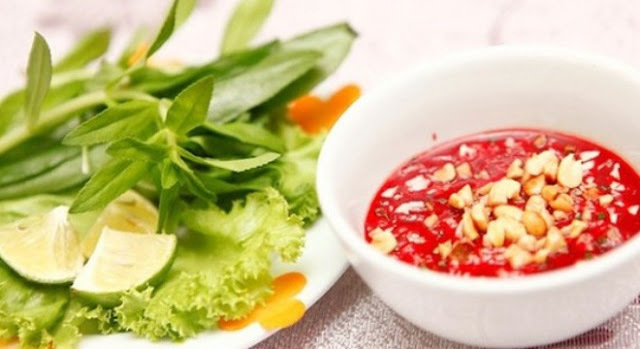 Vietnamese cuisine is distinctive. The reasons lie in its various flavors, beautiful broth, delicate sauces, but especially its origin of ingredients which may come from incredible sources available in our daily life. All these components constitute very special and weird foods under the brand name of “Made in Vietnam”. In this post, a series of strangeVietnamese food will be introduced as being mentally prepared for you to explore and satisfy your appetite. Peppered and presented in a neat circle on a bed of green leaves, deep fried and crispy crickets have become "finger food for beer drinkers" in an age of increasing prosperity in Vietnam compared with the recent past when they might have been food for the hungry or for wartime soldiers surviving in the jungle. Its taste is very particular, very delicious with good smell but it is very difficult to compare cricket to other meat. 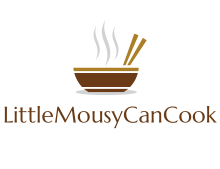 Cricket dishes offers "young crickets deep fried," "cricket salad," "breaded cricket," "cricket noodle" and "peppered cricket”, which may come in various sizes, shapes and colors nestled on long yellow noodles, or battered, or stood on their legs atop a dark-green salad. Crickets is a gift of childhood recalling the days when every child hided away from parents, catching crickets to watch them fight for entertainment after consuming dozens of bottles of water to get them choked. The insect has a special place in Vietnamese literature through a book called "The adventure of a cricket" by To Hoai. A picture book and a cartoon film were based on the story. 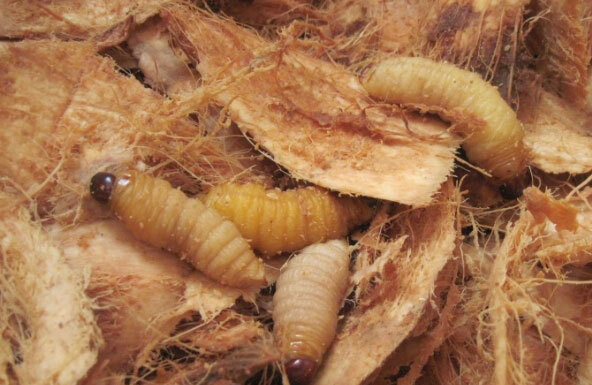 Sago delight is larva of coconut’s bug that lives on eating heart coconut palm. Sago delight squeezes the coconut tree and damages it but its meat is very delicious and renowned as a specialty of Mekong delta. It looks like young worm, with soft body and milky-white color. 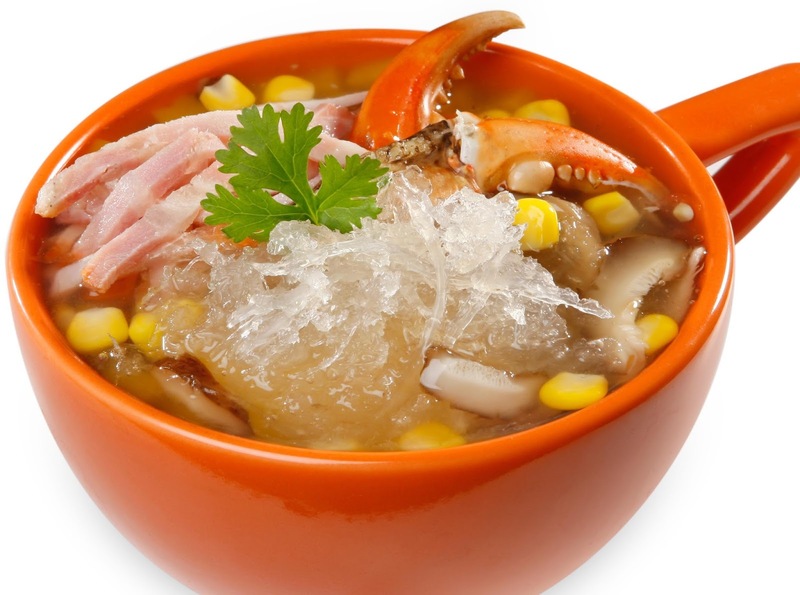 The most popular dish from sago delight is fresh sago delight served with spicy fish sauce. When tasting, you will feel the fatty flavor that is somehow similar to egg yolk for some people, no matter how hard it seems to enjoy when having your tongue contact with this creature at first. It literally means the coffee made out of the dung of weasels or civet cats, which eat coffee bean and give out a great local coffee materials. 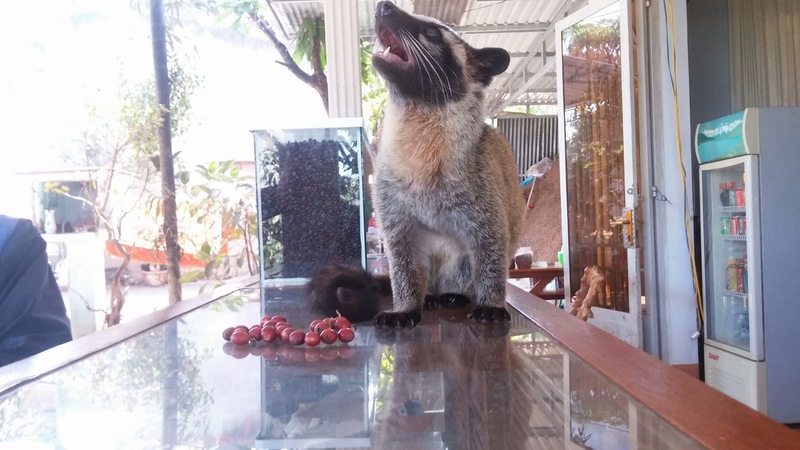 This specialty has high quality thanks to the ripen coffee beans the animals chose to eat, and its digestive system help to add more flavor to the coffee. Those are rice wines dipped with copra snakes or scorpions. The poison of the animals is cancelled out by the alcoholic content of the liquor. Besides, Vietnamese have other type of wines called “medicine wines” (rượu thuốc), which include other elements like herb, snake skin, bear hands, gecko, goat’s testicles. Those drinks are among favorite liquors in Vietnam. They are served for drinking hobby, similar to other kinds of wine or beer. Moreover, many of them have effects of supporting health and curing illness like: back pain, rheumatism, lumbago, etc. It can be translated into English: fatal duck egg, half-hatched duck egg. 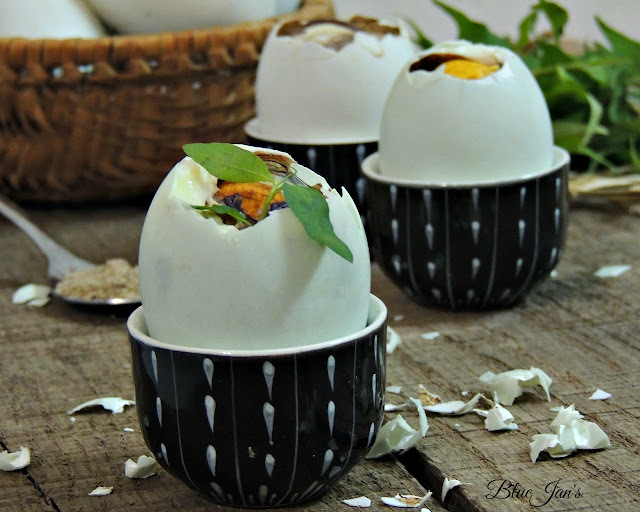 The dish is made with nearly-hatched duck eggs, which are boiled, and served with fresh herbs (Rau Răm or Vietnamese Coriander), ginger, salt mixed with pepper and lime juice. 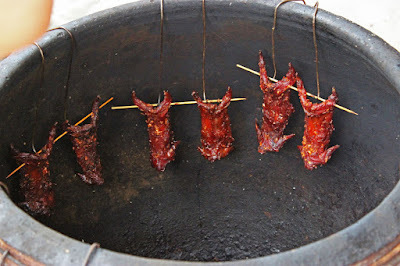 This meat is another bizarre food to many foreigners and one of favorite dishes for drinkers in Vietnam. After harvesting, farmers usually trap and catch mice in rice fields. Mouse meat can be drilled, fried, or barbecued and become a delicious, tasty specialty in many luxury restaurants. The cook forces the snake spit its venom into a glass and mixes with local wine. The reptile, which is still live, then is gutted in front of you. Its blood is drained into a glass and then mixed with rice vodka. The snake bile is put into another rice vodka bottle. So there will be three types of wine container venom (yellow color), blood (reddish), and bile (green). These all are said to help strengthen virility, tone, and digestion. Some bold men can even eat the still beating heart of the copra by just … swallowing it. 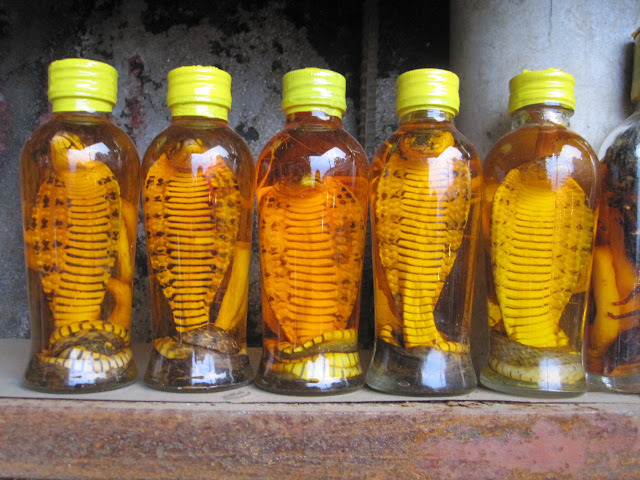 To start the meal, drinkers enjoy these liquors while waiting for the restaurant to serve snake meat. 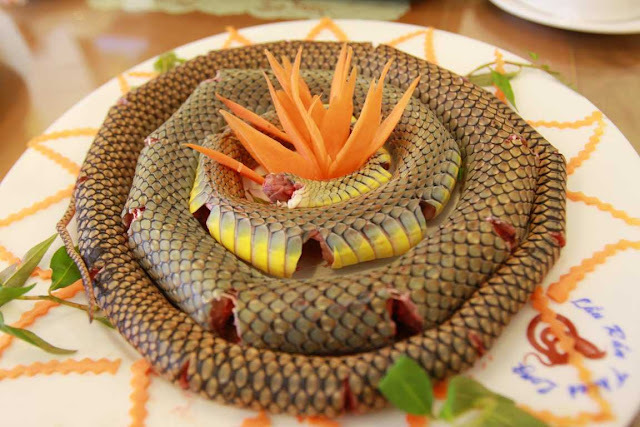 The snake meat, skin, and bones then can be cooked in many ways: fried, curries, etc. All are delicious and tasty. As the name suggests, the soup is mainly made of raw blood of animals: ducks, geese, goats, pigs, etc. Sometimes, other animals also count: shrimp, dog…The fresh blood is poured into small bowls, mixed with chopped cartilage and cutting herbs, and after a while, gently congeals. The food readily serves after being scattered on top with chopped peanuts. Vietnamese drinkers, love this favorite protein-rich dish in breakfasts and in drinking parties. However, foreigners dare not to eat because they think that’s a terrible and unhygienic food. And in fact, if unsure of the origin, especially from street food stalls, you should not eat blood soup for the sake of your health. Those meats are just similar to beef, pork, or chicken and used as normal foods. 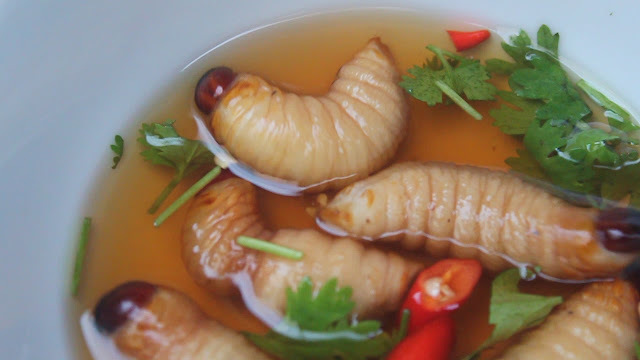 However, these weird Vietnamese foods are really found disgusting or offensive to foreigners as they are pet for animal lovers like them. As sad and repulsive as it is for me, this is just a cultural thing that one has to accept. Still, it always bothers me when I see a cute puppy running down the street and I know that sooner or later it will probably end up in someone’s meat & rice. No matter how delicious it is (cause' I used to have these types of meat), eating our own puppies or kitten is inhuman and unacceptable. Bird's nests are created by swiftlet, entirely out of the bird's saliva. These nests are high in calcium, iron, magnesium and potassium. They are hard when harvested, but partially dissolve into a more jelly-like consistency when boiled into soup. Cave swiftlet nest high up on sheer rock walls inside pitch dark caves, where they build sticky nests out of their own saliva. Today, the swiftlets are encouraged to build their nests in artificially constructed concrete nesting houses. Even so, bird's nest are still high in value and often prepared in soup as illustrated below. This dish not only has high nutritional value and exquisite flavor but also represents a beautiful meaning of life, the sacrifice of parents for their children - it's true for all kinds of beings.